e*Pay OneClick is a better way to pay bills. 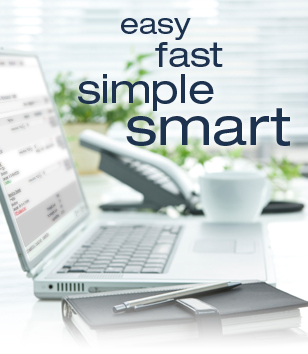 Here are simple, straightforward answers about e*Pay OneClick from FINANCIAL PARTNERS FCU. Q: What is e*Pay OneClick? A: e*Pay OneClick is a service that allows you to pay virtually anyone or any company through your online banking account. You determine who you want to pay, when you want to make the payment and which account you want the payment to come from. It's safe, secure and easy to use. Q: Who can I pay with e*Pay OneClick? Q: How do I enroll in e*Pay OneClick? A: It’s easy to enroll in e*Pay OneClick. Just log in to your account and click the "Bill Pay" link to access the short enrollment form. Q: How do I start using e*Pay OneClick? Q: How do I make payments with e*Pay OneClick? Q: Is e*Pay OneClick secure? A: Paying bills online is one of the safest ways to pay your bills. e*Pay OneClick helps guard against identity theft from lost or stolen checkbooks, bills and statements. It also increases your privacy because only you can access your account information, account numbers and payment history. As a result, you maintain tighter control of your account with real-time access to your payments activity. Q: How are the scheduled payments processed with e*Pay OneClick? Q: What are the primary benefits of e*Pay OneClick? A: Here's a quick list of the many ways you can benefit from using e*Pay OneClick. Save time. With e*Pay OneClick, you can receive and pay your bills online, all in one place. That means no more visiting multiple websites to pay bills or trips to the post office to mail checks. In addition, smart features such as recurring payments allow you to automate regular bill payments. Help the environment by saving paper. With e*Pay OneClick, there are no checks to write or envelopes to mail. That's good news for you and the environment. A: eBill is a feature that allows you to receive and pay electronic versions of paper bills directly from your e*Pay OneClick account. A: eBills are delivered directly to your e*Pay OneClick account. Once you set up an individual eBill for a company you do business with, an eBill comes directly from that payee to your account. Examples of businesses that offer eBills are cable service providers, phone service providers, utility providers and credit card companies. A: If a payee offers eBill, there will be a “Setup eBill” link next to their listing on your e*Pay OneClick dashboard. To sign up, log in to your account at WWW.FINANCIALPARTNERSFCU.ORG. Then click the "Bill Pay" link to access the enrollment form. These are general information answers regarding e*Pay OneClick. Specific details regarding e*Pay OneClick are available on our website.